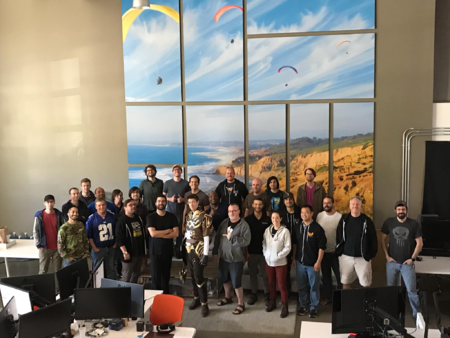 Intrepid Studios new hires, 7 March 2019. 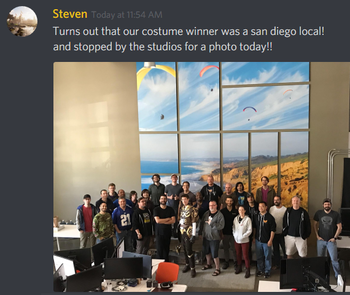 Intrepid Studios staff posing with Halloween costume winner, 2 November 2018. Intrepid Studios tour, 31 May 2017. 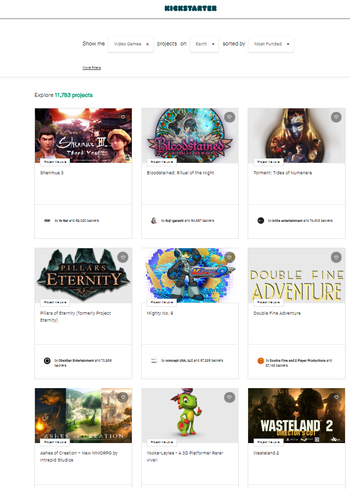 Intrepid Studios Inc. is a San Diego based game studio working on the MMORPG Ashes of Creation. ↑ Blog: Creative Director's Letter. ↑ Video, 31 May 2017 (0:02). ↑ Intrepid Studios - Linkedin. 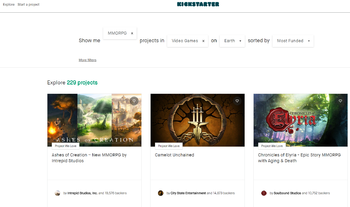 ↑ 5.0 5.1 5.2 Intrepid Studios - Official website. ↑ 6.0 6.1 A chat with Ashes of Creation's Steven Sharif, 7 June 2017. ↑ 15.0 15.1 Interview, 21 August 2018 (11:20). ↑ 19.0 19.1 Interview, 21 August 2018 (11:27).